Experience the joy of sailing with Goodwill Holidays! 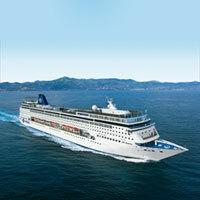 We are a renowned travel company based in New Delhi and offer exemplary Cruise Services to the clients. We would book your ticket for a world class cruise liner that provides all modern facilities and amenities, and recreation options to the voyagers. You can rely on us for a most budget friendly domestic or international cruise package that includes comfortable accommodation, delectable free meals, free passes to parties, and discount coupons for various branded outlets, etc.